William Alan Trujillo was born December 19, 1944 in San Diego. William died January 20, 2019. He is preceded in death by his wife Frances, father Soloman Trujillo and mother Elizabeth Trujillo. He is survived by his sister, Theda Trujillo, and brothers Robert Trujillo and James (Tamara) Trujillo, as well as eight nieces and nephews. 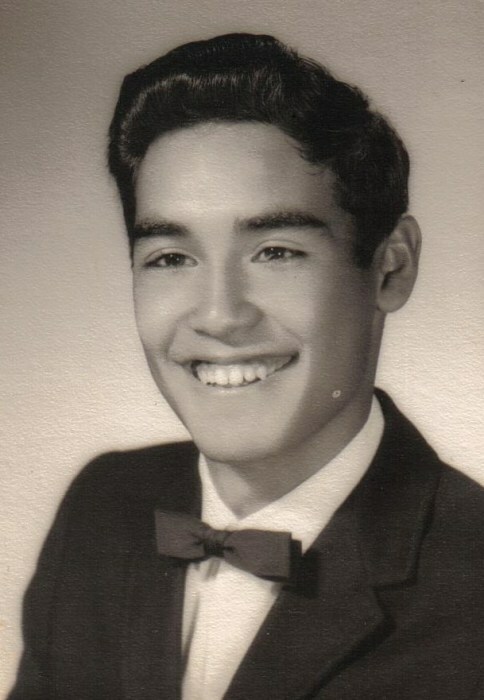 He graduated from Kearny High School in 1963 and attended San Diego State University. Bill excelled at track, cross country and wrestling at Kearny High and broke many school records. He was named Athlete of the Year. Bill was the California State champion for track and cross country while attending SDSU. He holds many records that have not been broken today. He was employed at Orowheat Bakery for many years and later became a psychiatric technician, working at various mental hospitals in San Diego. He cherished family time, had a quick wit and a playful sense of humor. He was movie buff and enjoyed visiting the local casinos. He was a seasoned traveler and tourist along the California coast and an avid sports fan. Bill was loved by many and will be missed by all who knew him. A Memorial Service will be held at Bonham Bros & Stewart Mortuary Chapel in Ramona, on Saturday, February 9th at 11am.